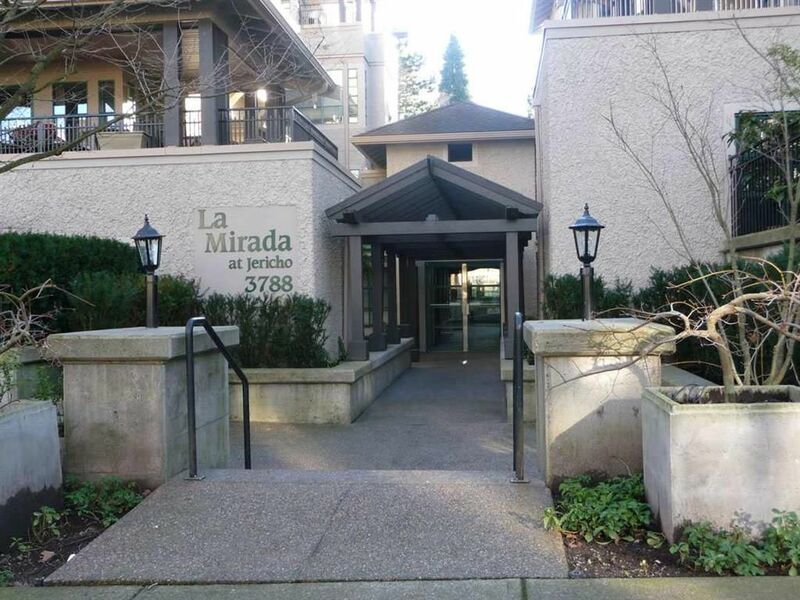 Well built, maintained and managed condo at the gateway to UBC. Close to all level of schools, Jericho Beach and Park. Tree lined quiet street but close to W Broadway and Dunbar Street, shopping, dining, and public transportation. High ceiling in living room. Master bedroom with ensuite bathroom. Owner put in a French door in the 2nd bedroom to the living room. Meeting room with kitchen facilities and guest suite with bathroom on ground floor. Roof and building envelope done in 2011 & 2013-4. Hot water and gas for fireplace included in strata fee.